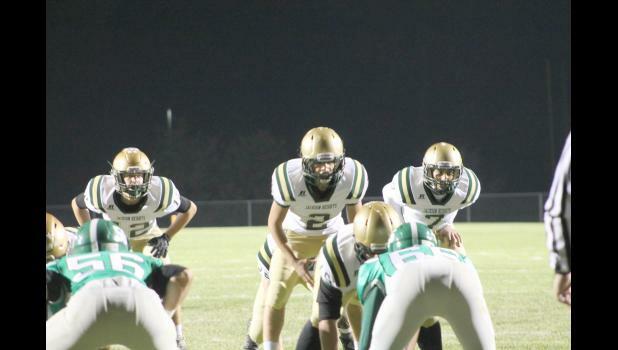 This photo of the Jackson Heights Cobra backfield shows, left to right, No. 12 Brady Holliday, No. 2 Cooper Williams and No.7 Sebastian Butto.